Cino Merchants Group is a company that specialise in the importation of granite kitchen sinks etc for the large scale like hotels and apartment blocks, and also supply to some retailers. Due to their target market being so varied, they required a logo that is very simple and versatile. To maintain an upmarket feel, a spot UV was addded to the back of the business cards in the shape of the branding pattern. 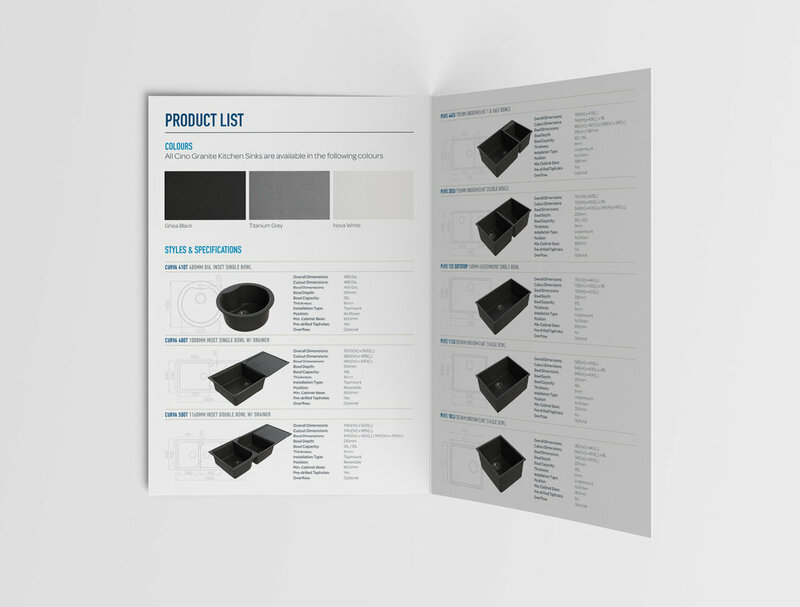 Through extensive research, it was discovered that colour was the number one selling point for the granite sinks. People who purchased them wanted to make a statement, with a colour and texture different from the standard stainless steel sink. 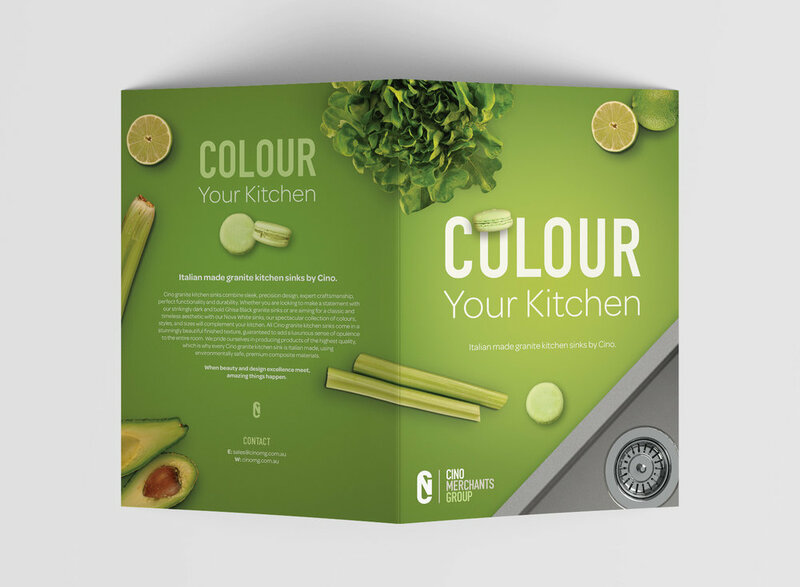 This is why we developed the "colour your kitchen" campaign. Cino Merchants Group is a company that specialises in the importation of granite kitchen sinks etc for the large scale like hotels and apartment blocks, and also supply to some retailers. Due to their target market being so varied, they required a logo that is very simple and versatile. 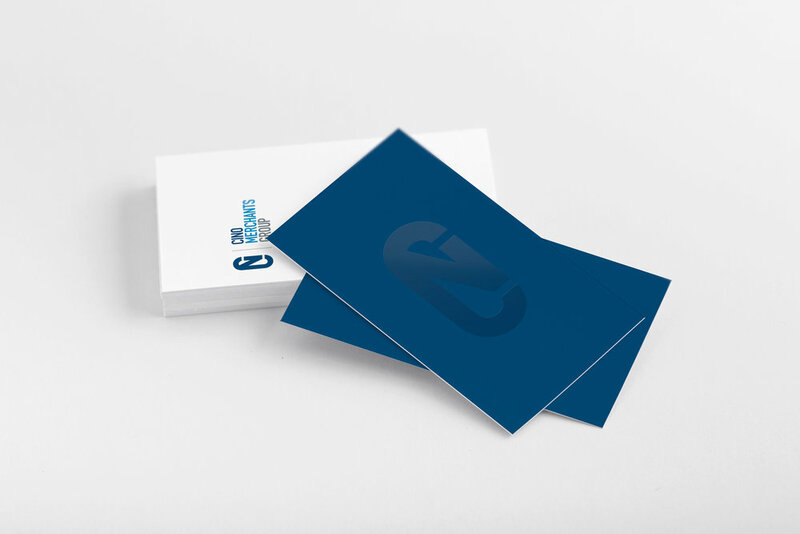 To maintain an upmarket feel, a spot UV was addded to the back of the business cards in the shape of the branding pattern.